Up early in time to give each of the dogs a walk and Rachel a cup of tea in bed before setting off with Mum for the Borders General Hospital in Melrose so that she could attend the eye clinic there. To think that at the weekend I had never been to the Borders Hospital and now I have been there twice! Read my book in the waiting room while (appropriately) waiting for my mother. The wait was not a long one but it was nearer to mid day when we returned to Mount Pleasant. Spent a while on the telephone with Mike who has been having a problem with the print machine at Luss. It really seems (as I have noted before) that so many of the machines at Luss have been waiting for my departure to give up the ghost – or it could be that I had learned over the years how to nurse them along and keep them going. Of course, it could also be that even the machines are just crying out for their retirement -- they have been well-used over many more years than their normal working lives. I also got an email with a list of the hymns for next Sunday at Arrochar and I transcribed them, prepared the music files and sent them off to Jamie. At 2 p.m. I drove Mum into Duns for her regular hair appointment (moved to the afternoon this week because of the trip to hospital in the morning). Having dropped her off, I went to the Co-op to buy some fruit and cheese and to replenish my supplies of Ginger Beer. It is a small Co-op but the staff are helpful and friendly. 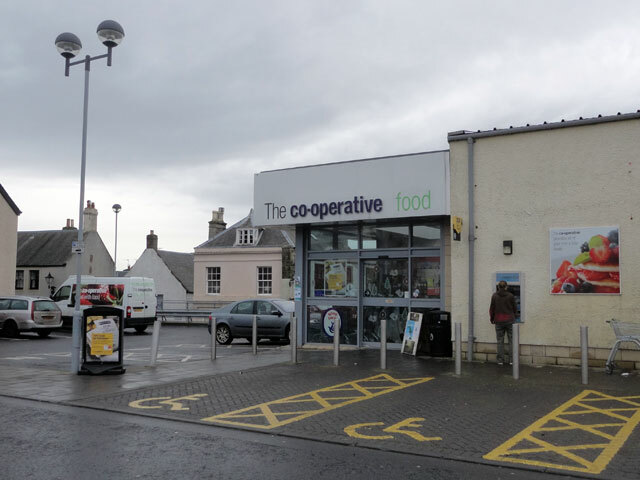 Olive and Digger do the main shopping for our meals and they go to Berwick for this but the Co-op here is more than adequate for my needs. 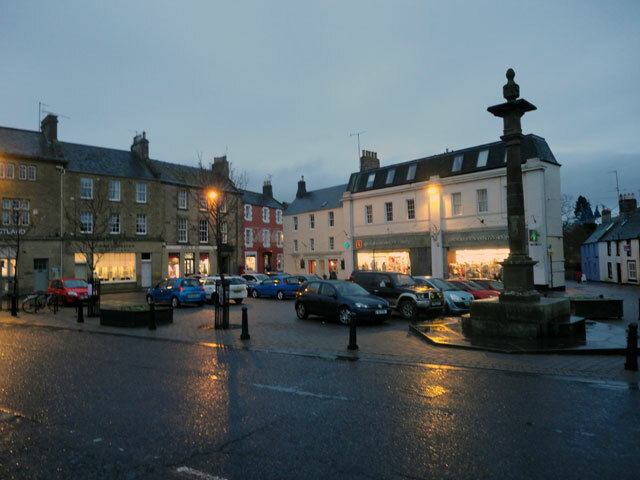 Came home and walked Mix (there is so little daylight at this time of year) and then drove back to Duns to collect Mum at 3.45 p.m. by which time today it was almost dark. Back home again, I went into one of the barns and brought out another box by torch-light. Discovered that it contained the games for an old Atari games machine which I must have bought more than thirty years ago – Space Invaders, Asteroids and many more. Set the machine up and ensured that all of the games were working – you’ll remember, perhaps, that I had found the console last Saturday and just a couple of the games; now I have around twenty with my particular favourites ‘Super Breakout’ which involves bouncing a ball back against a wall and dislodging bricks – the deeper you penetrate the wall, the faster the ball rebounds, and ‘Circus Atari’ which involves a see-saw which bounces a man into the sky to burst balloons – of course, you have to have the see-saw positioned below his fall to prevent him ‘splatting’ onto the ground. It was a journey back in time to an age when this was cutting-edge technology – and it was fun. 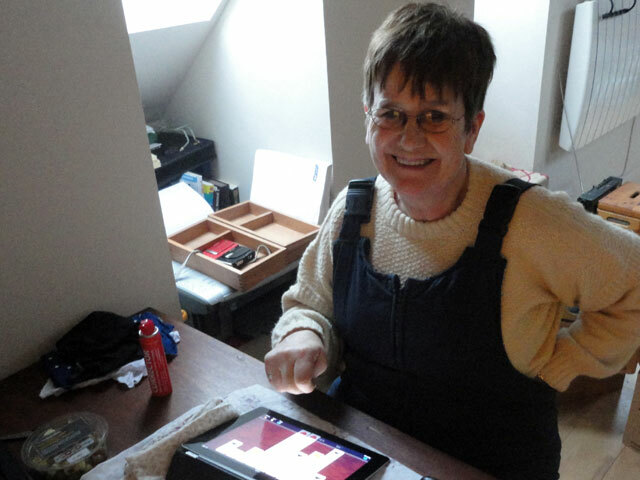 Rachel has taken today easy; most of the day she has been reading her book although I did snap her at her workstation. Those with keen eyesight will see that what she actually has on her computer screen is a game of patience. We dined with Mum and Digger and then came back to the Granary where we watched an episode of Montalbano – the Italian detective series set in Sicily. The programme is in Italian and it is good to hear the Italian language, even if much of it is in dialect. Watched Newsnight, much of which was given over to the White Paper on the subject of Scottish Independence. As usual I thought that Gary Brewer wasted his opportunity of interviewing the First Minister by having too rigid a view of what he wanted to get out of the conversation. Frankly I am not much interested in what Mr. Brewer thinks, I want him to draw out what Alec Salmond believes. The interview was, it seemed to me, a missed opportunity. I found it interesting that so much of the White Paper sounded as if it were an election manifesto – a menu of offers for an independent Scotland. My first thought was that this was not what I had expected because that will be the business of those vying for power should Scotland become independent. But as I think about it, I am coming around to the view that this was quite an appropriate thing to do. The response, of course, is that many of these ‘offers’ could be delivered under devolution but that is only partly true. I was taken with the childcare plans which would enable huge numbers of women to get back into work, and who by being in work would generate the tax revenues to pay for the provision; tax revenues which in an independent Scotland would come to the Scottish Treasury. Such a move would be important for women but also tackles the real problem which Scotland has which is that we need a higher percentage of our population to be generating wealth to support an aging population. So there is much to think about and I would love to get a copy of the six-hundred-and-some-more page document and read it – something which, now that I am retired, I will have time to do! Somehow the debate has got a new edge to it for me now that we live so close to England and cross to Berwick sometimes several times a week.